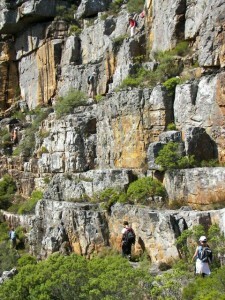 Woody Buttress is one of my favourite scramble routes on Table Mountain. 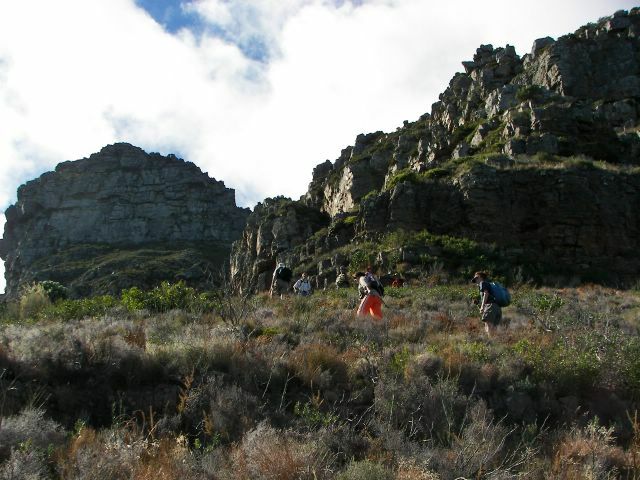 It is challenging with more tricky sections than India Venster but does not have the sheer drops of Kloof corner. 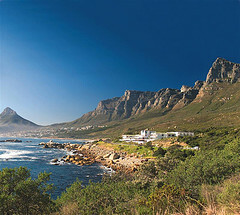 The views of the Atlantic side of Table Mountain are of course fantastic. 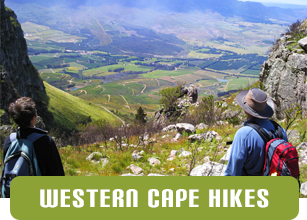 At the top of the buttress you join the twelve apostles path between Woody ravine and Kasteelspoort so have a wide range of routes down to choose from. Not a route for anyone who is nervous of heights but fantastic for anyone who likes to get off the beaten path and have a bit of adventure. To get to this route you follow the pipe track past Kasteelspoort and continue towards Llundudno for about 20 mins. Before you get to Woody Ravine, as the path takes a sweeping turn to the left you pass a concrete block on the left of the path. Just beyond this block a small path leads up the mountain. This is your route. Initially the path is steep and quite clear, however after about 10 minutes you come to the first of a series of rocky bands itself and begin scrambling. 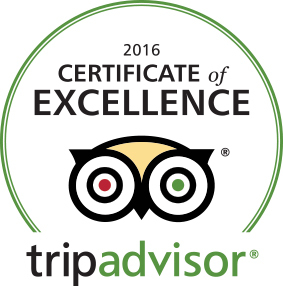 From now on you are mainly following cairns and on several occasions may need to search for the best route up the faces. 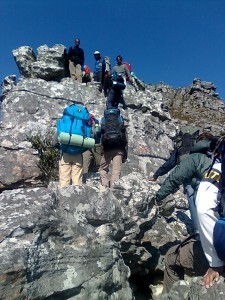 Most of the scrambles are less than 3 metres up, and with good foot and hand holds. The first half of the route takes you on the more right hand side of the buttress, until you come up on the main shoulder. After a break to catch your breath, you come to the most difficult scrambles of the day. Here you need to get yourself up about 3 metres of a half chimney. Although relatively easy should you slip here, the fall would be quite severe. Once you are past the chimney there are some very minor scrambles before you reach the top. To get to this point should take between 1.5 and 2 hours. I do not recommend taking the same route down. 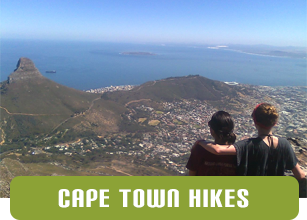 A left turn onto the 12 apostles path will lead you the top of Kasteelspoort in 20 minutes. This is probably the most usual route down for anyone who has come up this route.